Read 2 times. Last read September 12, 2013 to September 21, 2013. There are two things I love about the Orion books. I love Orion's character, his near super human abilities, his desire to do the right thing coupled with his very human feelings of anger and vengeance. The second thing I love is the rewriting of history. I love to experience the familiar stories but from a different perspective, a retelling that fills in the gaps that have been lost to history and gives a plausible explanation. This book has plenty of both. We get to know Orion even better, we get to see him dominate in battle, and we get to experience some fun history. This time around, Orion is Osiris from Egyptian mythology, he fought in the Trojan war and assisted Joshua in bringing down the walls of Jericho. Definitely a worthwhile read. I loved it when I was 15, and I loved it today. 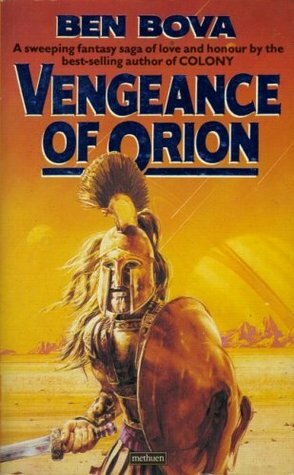 Sign into Goodreads to see if any of your friends have read Vengeance of Orion.